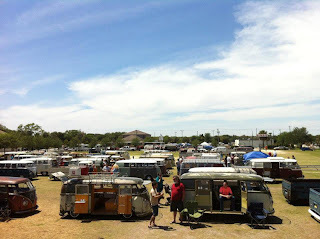 There’s nothing like an America concert and a vintage VW bus gathering to bring back your high school dreams. I used to lie in my room blaring Ventura Highway on my cassette player and picturing myself in a VW camper cruising the California coast with my hair blowing in the wind. The band America sang that song of nostalgia and dozens more a few weeks ago at the charming Florida Theater in Jacksonville. If the audience was any indication, baby boomers don’t need much prompting to pretend they’re back in the day. But you could tell we’d aged 40 years…the line for the men’s room was even longer than the line for the women’s. 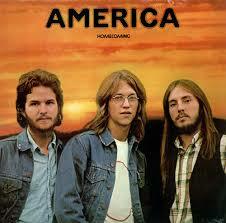 The good news is that America’s Gerry Beckley and Dewey Bunnell have aged well. Despite the tragic loss of Dan Peek in 2011, they put on a great concert with a tight band that’s been with them for decades. I had been humming Ventura Highway since the concert, and pretending my Kia Rondo was a 1965 VW bus as I cruised up I-95 driving my daughter’s carpool. Then, it happened. Vintage VW buses started to pull into town last Friday night. I saw one go by, and that was cool. Then I saw another a few minutes later, and that was synchronicity. Then two more went by, and it was getting weird. Turns out, they were headed for Francis Field in the middle of downtown St. Augustine. 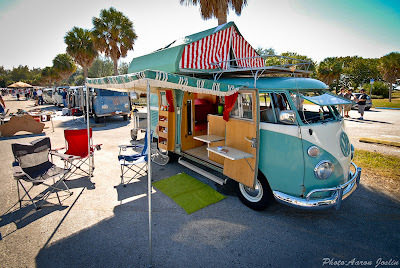 It was the 1st Annual Bulli Brigade Spring Meet, stopping by before heading in a “carabus” down to Daytona Beach the next day for the larger No Dough Bus Show. The Bulli Brigade is “the USA’s oldest and East Coast’s largest 1967 and earlier VW bus meet and parts swap,” according to its Facebook page. They usually meet in St. Petersburg, so this was a first for them and the ancient city. The sad part is that I was out of town and didn’t get to see the Bulli Brigade before it rolled south. But I love that the group exists and I know the show and caravan made people smile all day long. My search for pictures of the event led me to Aaron Joslin, a creative and talented photographer who happens to love old VWs. His shots make them into pieces of art. Aaron was kind enough to let me use one of his photographs at the top of this post. It’s an amazing vintage camper at the 2012 Bulli Brigade show that belongs to Shane Socash of St. Petersburg. The VW is original right down to the accessories.